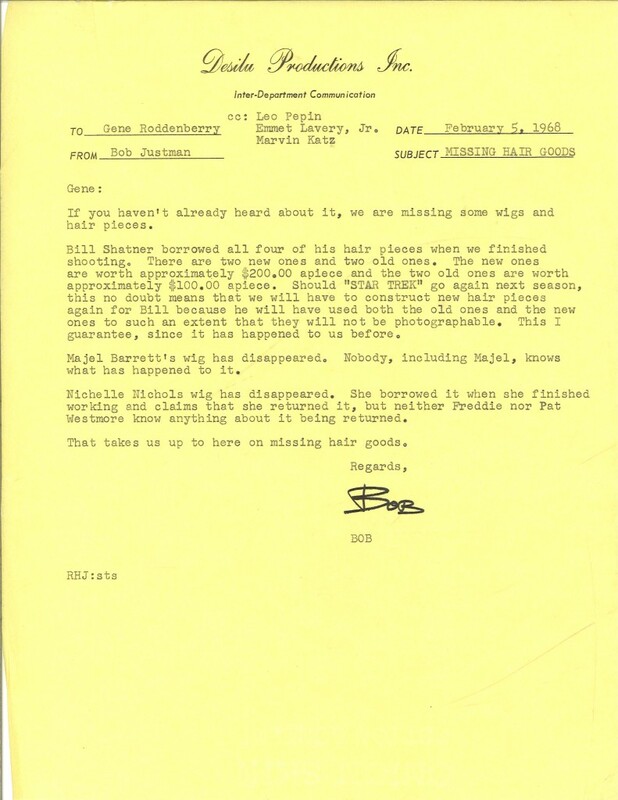 The Desilu Productions Inc. memo from show producer Robert Justman to show creator Gene Roddenberry documents the high value of wigs and hair pieces used on the show to the show's actors. Where did they go? And, were they ever returned? The Gene Roddenberry Star Trek collection and the Robert Justman Papers offer a peek behind the scenes of one of television's most popular shows.